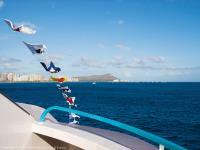 Get a casual dinner cruise through Oahu Activities! 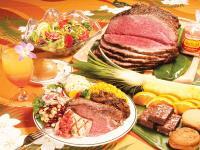 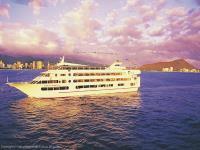 They’ve partnered with Pacific Star to offer the Star of Honolulu Pacific Star Sunset Dining Cruise. 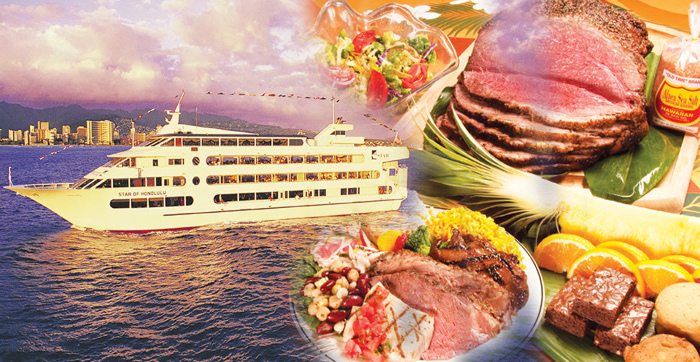 This dinner cruise is perfect for enjoying panoramic sunset views of the Hawaiian Coast while dining on a five star meal! 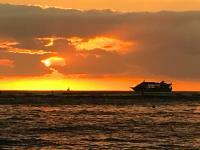 Your cruise begins with round-trip motor coach transportation from the Waikiki area for $10 per person. 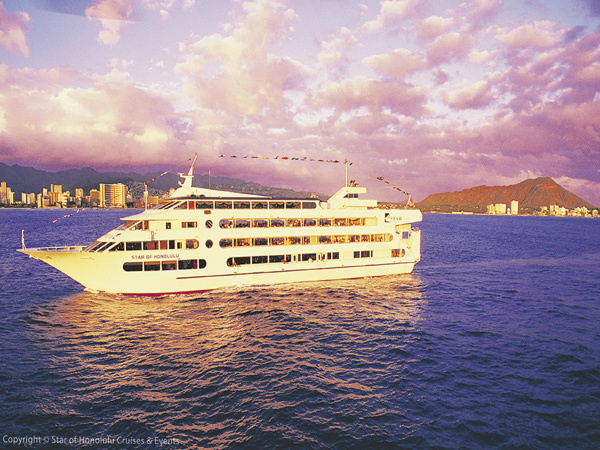 You’ll board the Star of Honolulu touring vessel for a 5:30pm departure. Explore the four walk-around decks before dinner and enjoy the Hawaiian Sunset. 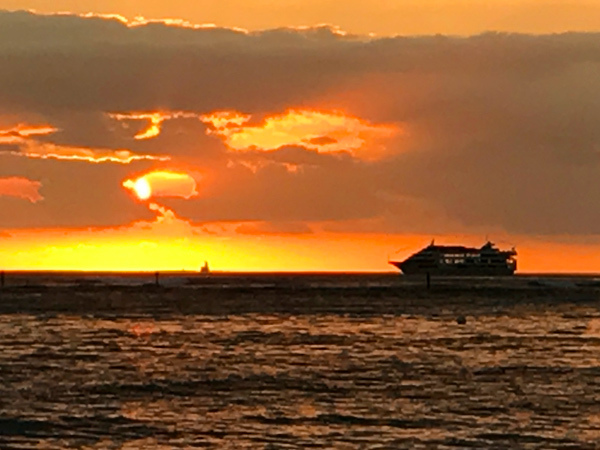 The Star of Honolulu Pacific Star Sunset Dining crew welcome you with a Mai Tai and share the spirit of Aloha as you discover the sounds, sights and flavors of paradise.